Creation: Supposedly the tiara was first worn in 1804 at the Coronation of Emperor Napoleon I by Désirée Clary, the future Queen Désirée of Sweden & Norway. The tiara has been altered many times. It was originally a set of sprays that could be worn in the hair and was later formed into a wreath worn around the head. In 1947, Queen Ingrid had brooches from the parure added to make it a fuller tiara worn on top of the head. 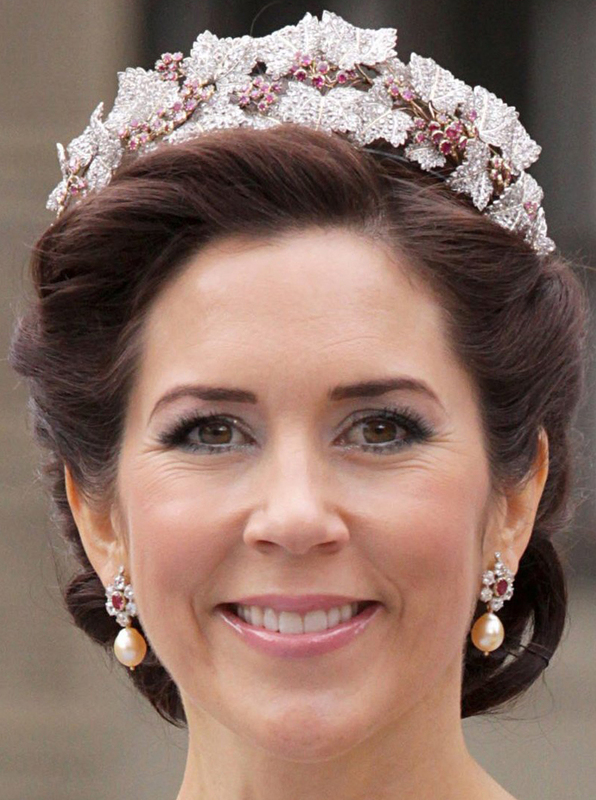 In 2010, Crown Princess Mary had the tiara altered by Marianne Dulong to make it shorter and more rounded. Crown Princess Mary of Denmark; inherited by her husband, Crown Prince Frederick of Denmark, from his grandmother in 2000 and given to her on the occasion of their 2004 marriage. What jeweller created this parure? 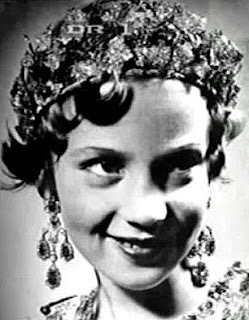 What jeweller did the 1947 alterations on the tiara for Queen Ingrid? 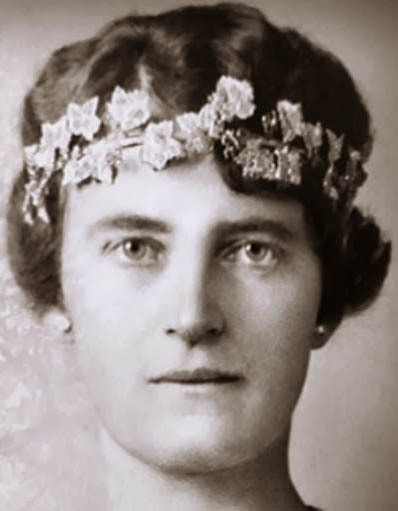 Are there any pictures of Queen Désirée, Queen Josephine, or Queen Louise wearing this tiara? 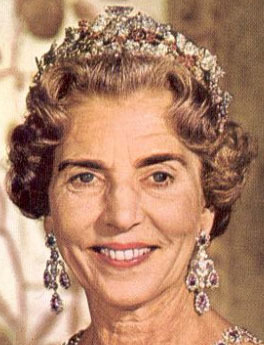 I love this parure and thought Queen Ingrid's enhancemen was both practical and beautiful. But I feel that it has lost it's airy lightness and beauty with the rubies swamped by the leaves and the whole thing looking heavy and bulky since Mary changed it. The photo's above illustrate the change quite clearly. I realise that the tiara base did not fit easily on Mary's head and it had to be shortened, and that she uses the left over peices as hair ornaments, etc. but could she not just have had a new frame made? The original setting looked better. 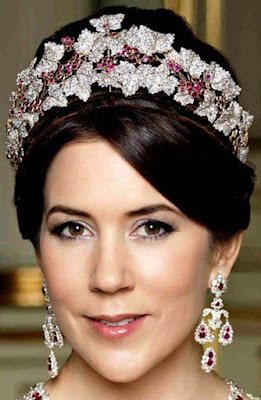 Why dismantling such an historical tiara?